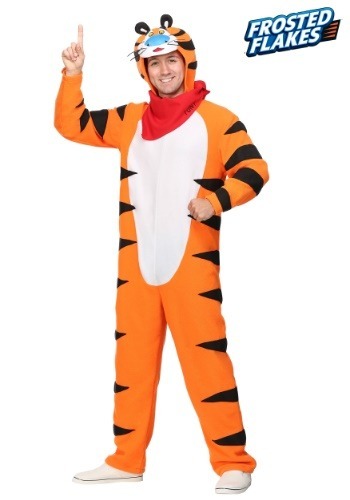 For a grrrrreat Halloween full of energy and fun, you can't go wrong with this Frosted Flakes Tony the Tiger Costume! Along with a jolt of energy to help you enjoy your holiday, you get an orange, tiger-striped jumpsuit, red signature bandana, and Tony's iconic face on a cozy headpiece. Practice your tagline and bring a box or two with you, because everyone will want to share a bowl with their favorite cereal mascot!